Historian Steve Shields tells us that Sidney’s unsung role in the early Church was larger than LDS or RLDS historians have acknowledged. When Sidney joined with Joseph, Sidney’s followers overwhelmed the small group of Smith followers. Should it be called the Smith-Ridgon movement? Steve: But, eventually, the Rigdon followers outnumber the Smith followers five or six to one. And so, I argue it really ought to be called the Smith-Rigdon Movement rather than the Latter-day Saint movement. Because in the beginning the word “Latter-day Saint” wasn’t even there, and it was Rigdon who came up with that. Steve: [In] 1834 Rigdon announces that the church will now be called the Church of the Latter-day Saints. GT: I knew that they changed the name, but I didn’t know Rigdon was behind it. Who else were highly influenced by Rigdon? 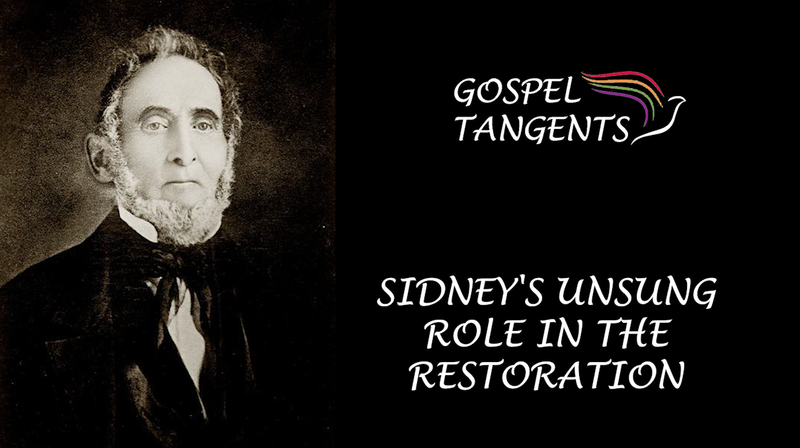 Do you think Sidney’s role has been downplayed in the modern LDS and RLDS Churches? Check out our conversation…. Don’t forget to check out our other conversations with Steve! 224: Who Owns the Temple Lot? 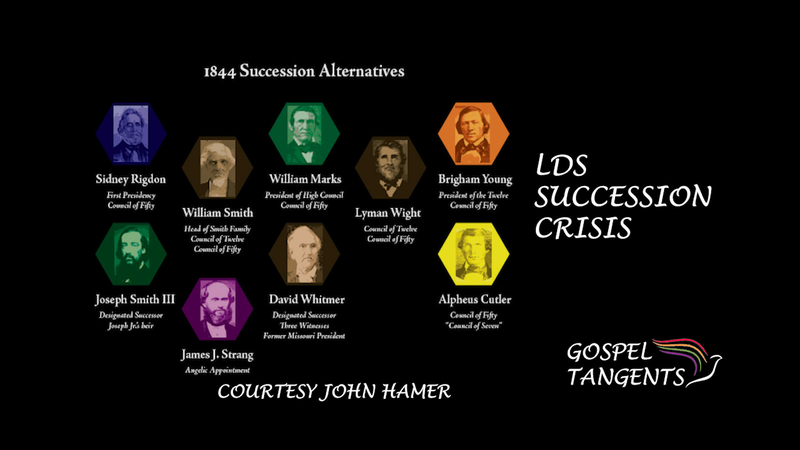 We’re continuing our discussion of the Succession Crisis. Strang was known to translate the Voree Plates. How does that compare to Book of Mormon translation process Joseph Smith did? Michael Quinn tells his beliefs about the translation process of the Book of Mormon. GT: Do you have an opinion on the Book of Mormon? Michael: Yes, I believe it is written based on ur-text? I believe it’s tribal history. The way the Old Testament was tribal history originally told around campfires and that the Book of Mormon is based on an actual ur-text, written ur-text, Gold plates. I believe those. But I don’t think that everything in the published 1830 Book of Mormon derives from that ur-text, derives from that ur-text. That’s a German phrase: Ur-text meaning the original text. I don’t believe that. I mean, there are things in there you can see as Joseph Smith’s understanding of the Bible. You can see things in there that reflect attitudes of the people at the time. James Strang was a big rival to the Brigham Young movement. He claims to have a letter from Joseph Smith putting him in charge of the LDS Church. Dr. Michael Quinn tells why he believes the letter was a forgery. GT: So what do you think about Strang’s claim? GT: Oh Wow. Why do you say that? Michael: The document itself was hand-printed. Michael: The signature was hand-printed. Michael: Joseph never did that. No, it’s an absolute fraud. Michael: But he was a charismatic fraud, which is why people followed him because Brigham Young did not come across as charismatic even though he spoke in tongues and sang in tongues. Check out our conversation… as well as our other conversations with Dr. Quinn! 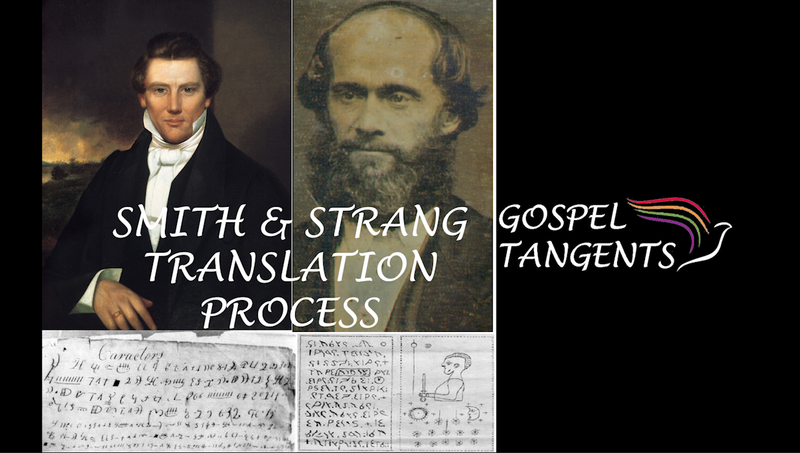 Both Joseph Smith & James Strang translated plates. How do they compare. What are Dr. Quinn’s thoughts on Book of Mormon translation?